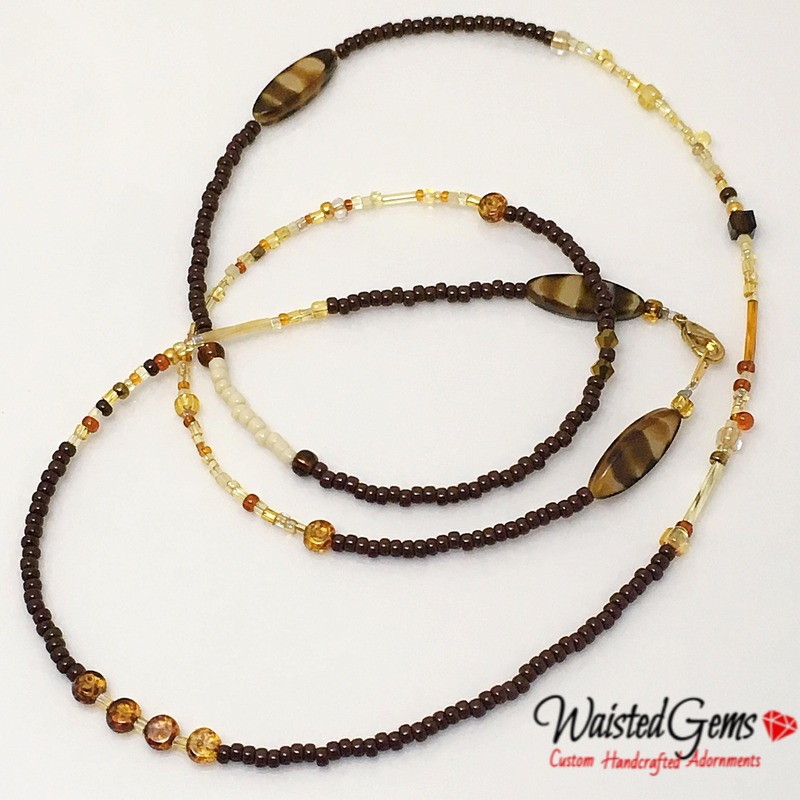 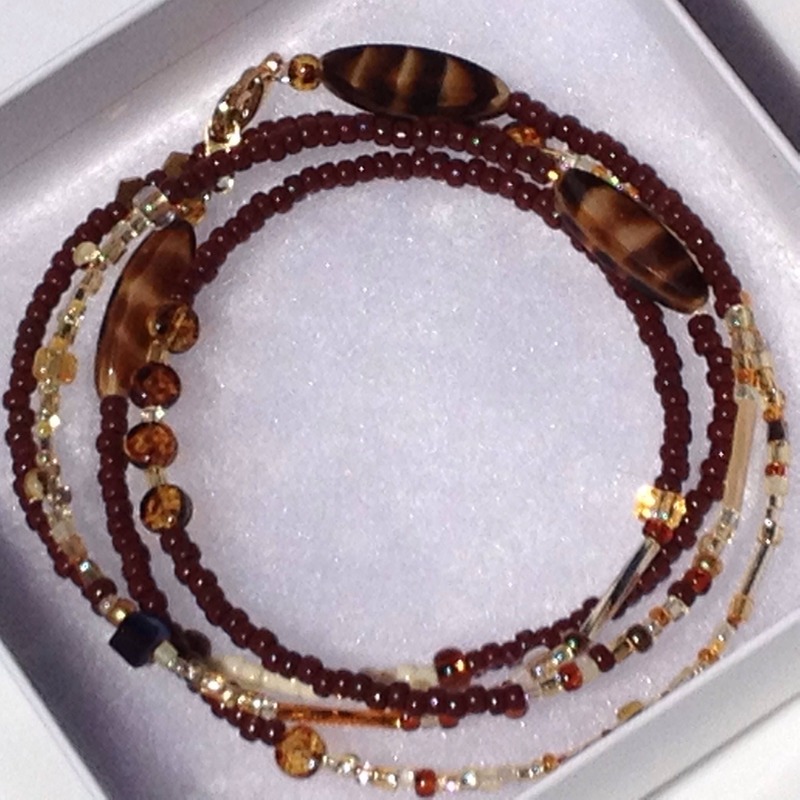 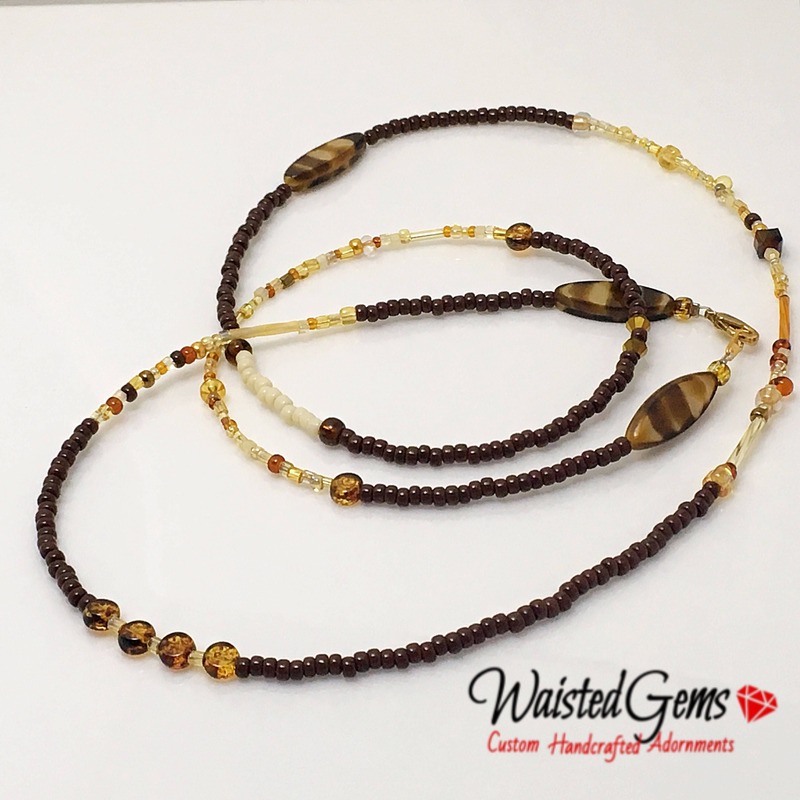 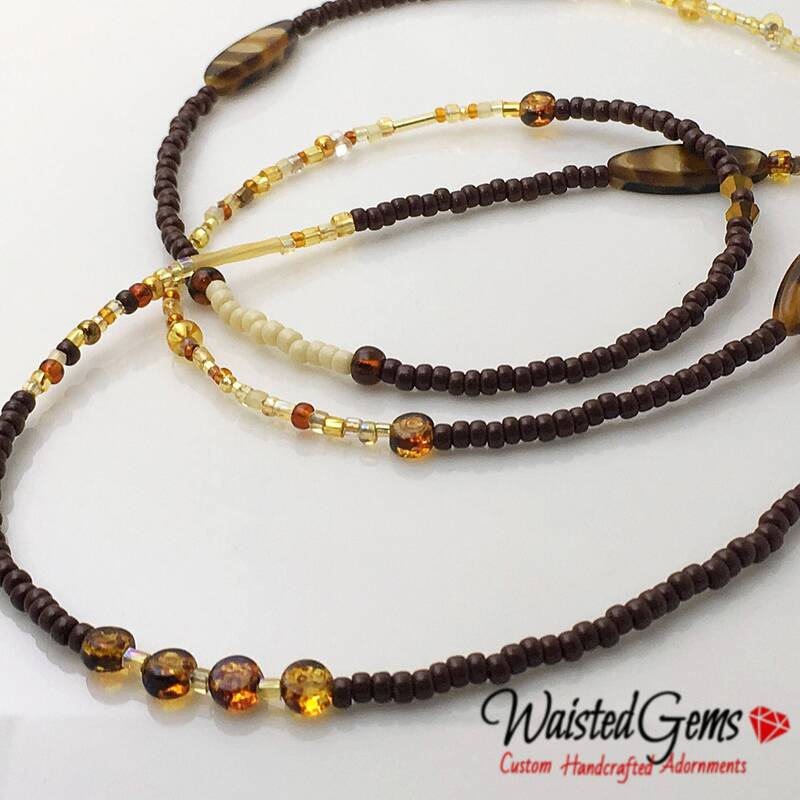 Czech Brown Waist Beads are handcrafted with brown and tan Czech spacer and brown glass beads on durable beading wire with a gold clasp. 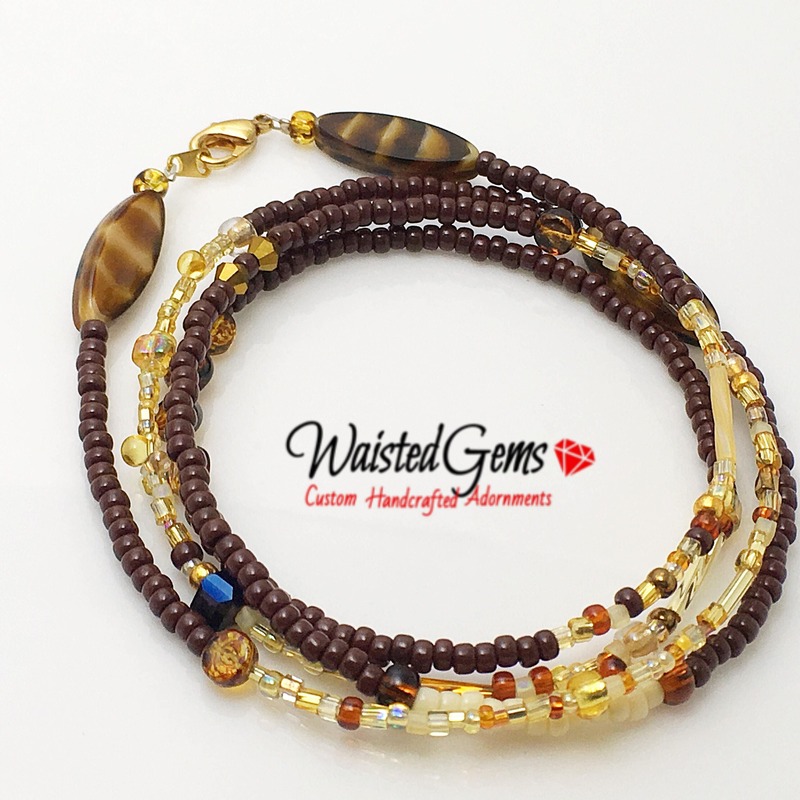 These waist beads can be worn daily. 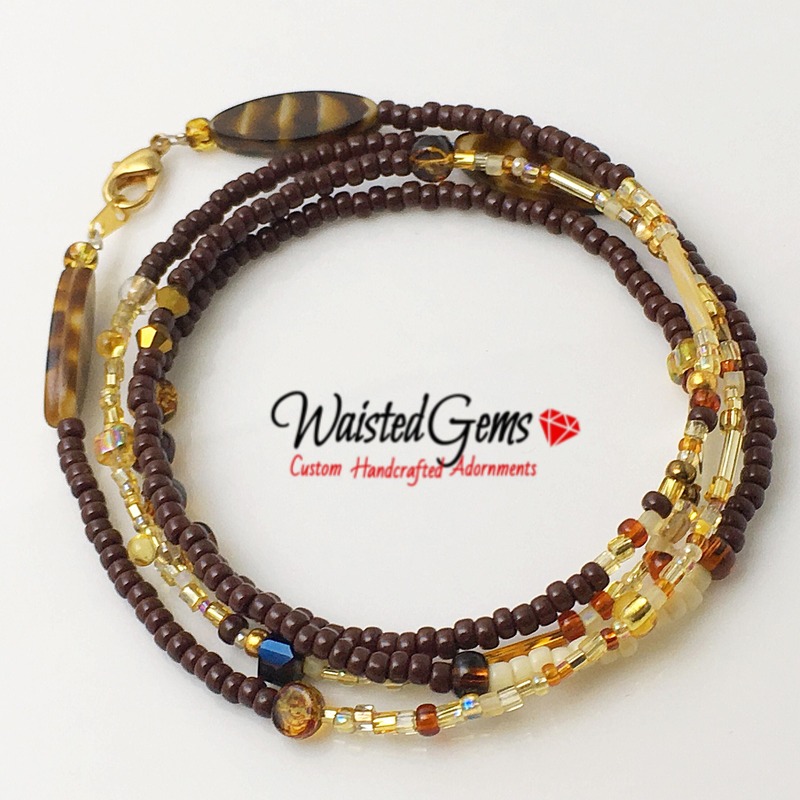 I am never disappointed when I order waist beads from her, products are top of the line quality and worth the money!